On Thursday,19th July 2018 afternoon, the County Executive Committee member in charge of the Department for Transport and Infrastructure,Mr. 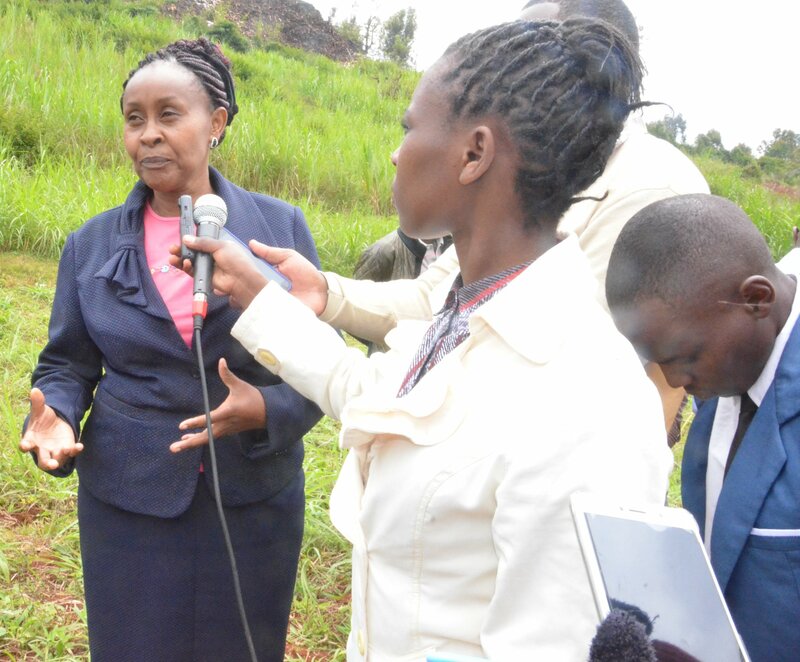 Muthui Kariuki visited the Asian Quarters dumpsite accompanied by the lead expert from EIA (Environmental Impact Awareness) –United Trust Development, Madam Wamuyu Gathinji . 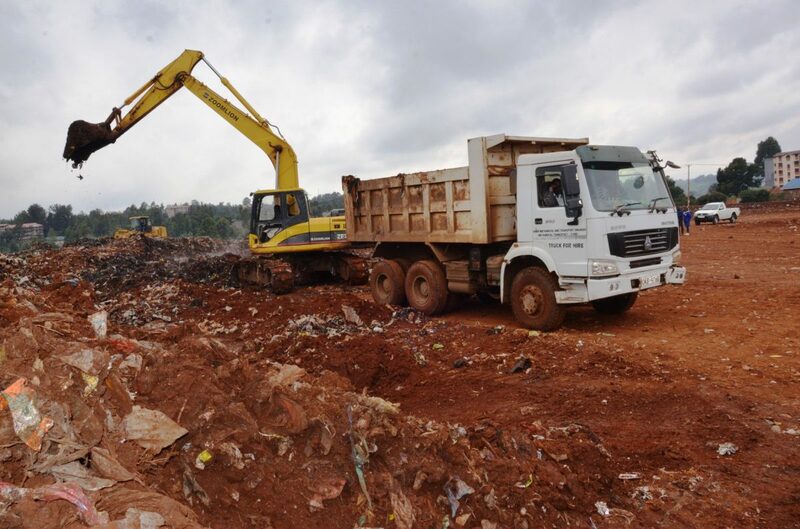 Following the debate that has arised from the clearance process of the dumpsite, it is pertinent to note that this government, under the leadership of Nyeri Governor H.E Mutahi Kahiga, inherited a decades – old problem that spans over a period of more than ten years. 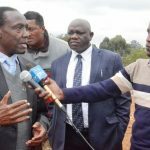 Dumping of garbage at the field has itself been an illegality as the area was never commissioned as a dumpsite and the County Government of Nyeri is cognizant of this fact . It is for this very reason that we are trying to do something about it. Let us be realistic and admit that a problem that has been in existence for over ten years cannot be resolved in just a blink. A journey of a thousand steps starts with one step and CGN has indeed embarked on that journey of clearing the Asian Quarters Dumpsite that has been a menace ,an eye sore and a health hazard. 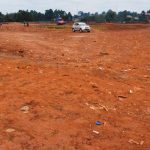 Several residents including home owners had to vacate their residences and what’s worse, smoke from the garbage when it was being razed down would waft all the way to the County Referral Hospital and affect many people. It had also become a haven for criminals further compounding the problem of having mounds and mounds of garbage at the site. 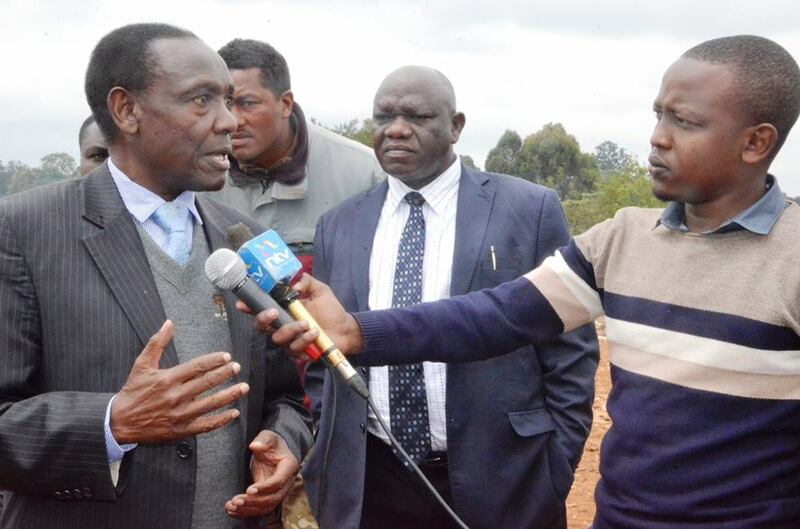 In regard to allegations that there is antagonism between the County Government of Nyeri and National Environment Management Authority (NEMA), CEC Muthui sought to set the record straight. 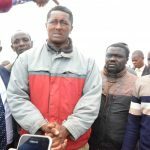 While addressing a section of the media, CEC Muthui Kariuki said early this week, he visited the dumpsite with Mr. Wanga from NEMA who advised that CGN build pits and line them with dam lining which essentially is heavy cage polythene paper . This is to be done as part of solid waste management. This being a suggestion from NEMA, CGN will proceed to incorporate that in addition to the initial plans of burying the garbage. 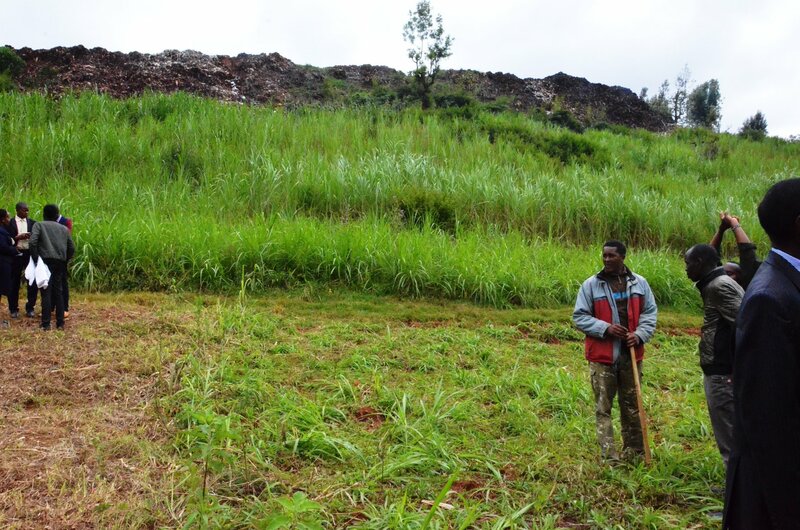 In addition, the CEC said a 400 meter long trench, 15 feet wide and 40 feet deep, will be dug at the edge of the dumpsite and lined with a dam liner to mitigate any possible pollution of Githwariga seasonal stream. The dam fillers will prevent possible occurrence of seepage. The plan is to manage and control the situation before the eventual re-location , which involves environmental assessments and other processes, is completed. The CEC remarked that NEMA should have had the same verve to question the dumpsite’s existence when residents were really suffering before the clearance of the dumpsite, bearing in mind that Asian Quarters has been an illegal dumpsite for all these years. Having said that, CGN hopes that NEMA will support its efforts to give the people of Nyeri better quality of life. 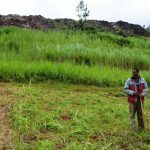 Wamuyu Gathinji, the lead expert from Environmental Impact Assessment laid bare the scientific process that will be used in waste management which partly include the processes explained above. 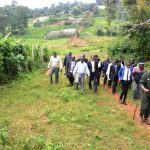 She said the long term solution to this is using land fillers, which the County Government of Nyeri is in the process of finalizing. 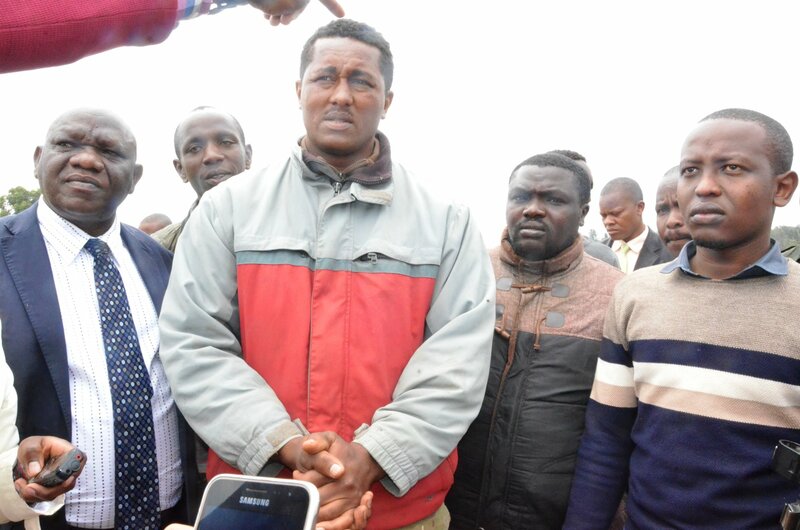 As explained earlier, clearance of the dumpsite has so far cost the County Government of Nyeri Shillings 3.6 Million through the use of hired equipment from Ministry of Transport-Mechanical Department, National Government. 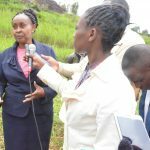 Residents expressed their joy following the garbage clearance and other stakeholders who had queries on the scientific processes of solid waste management had the chance to get clarifications and further explanations from CEC Muthui and EIA lead expert Wamuyu Gathinji. 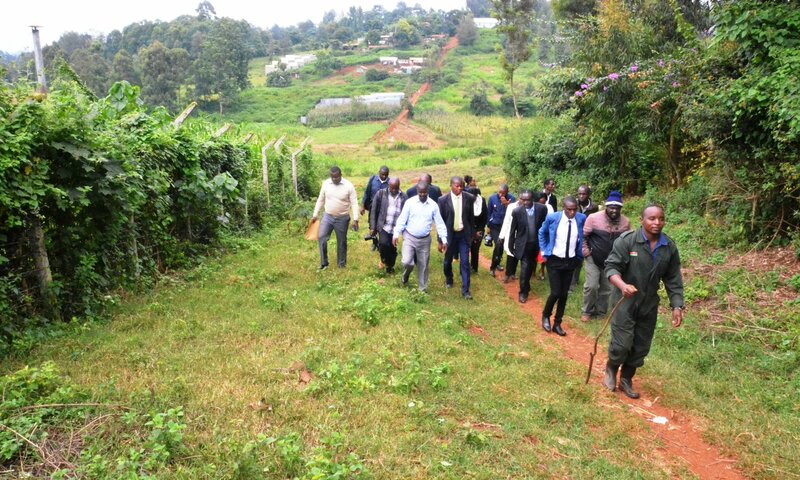 The area which comprises of about 9.6 acres will be converted to a bus park so as to de-congest the already heavily congested Nyeri town, a police post to enhance and boost security, modern business stalls to provide opportunities for people to earn a living and a leisure park on the lower part of the Asian Quarters Field where the solid waste management is currently taking place. The clearance process is expected to end by end of August.